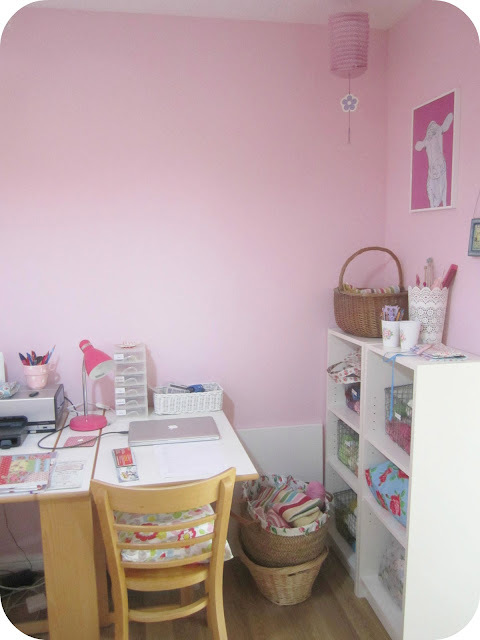 ... in what was originally the dining room, then D's ugly man-office, is now my craft room! I started off painting it white but decided it just wasn't me. It was my daughter who said it should be bubblegum pink. It's a real mix-match of Ikea storage and treasured bits. I've still got a bit of titivating to do. That noticeboard needs updating and mounting on the wall above my desk and I'm missing some fairy lights. But slowly, slowly I'm getting organised. I can't tell you how delighted I am to have my precious yarn safely stored. I HATED having it dotted around the house in bulging bags. I love, love, love being surrounded by my favourite things. I bought this Tiffany-style glass lightshade on the afternoon of Princess Diana's funeral, sixteen years ago. Funny what you remember. It makes me think of her whenever I look at it. My latest acquisition is this pretty thread catcher. It's so clever. Weighted by it's little pouch, it sits over the arm of your chair and acts as a receptacle for all those pesky yarn ends (or, of course, pistachio shells and chocolate wrappers!). I bought it from an extremely talented lady I've met on Instagram. 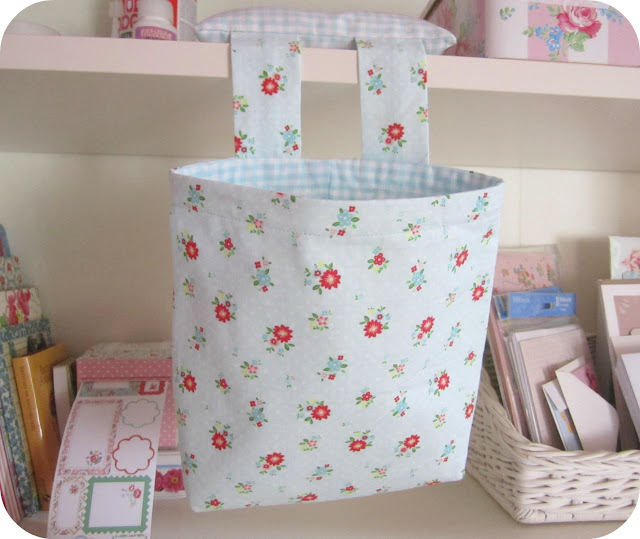 You can see some more of her beautiful makes on her blog, www.daisymoon-mandy.blogspot.co.uk. So, what do you think of my little room? I keep popping in and twirling! 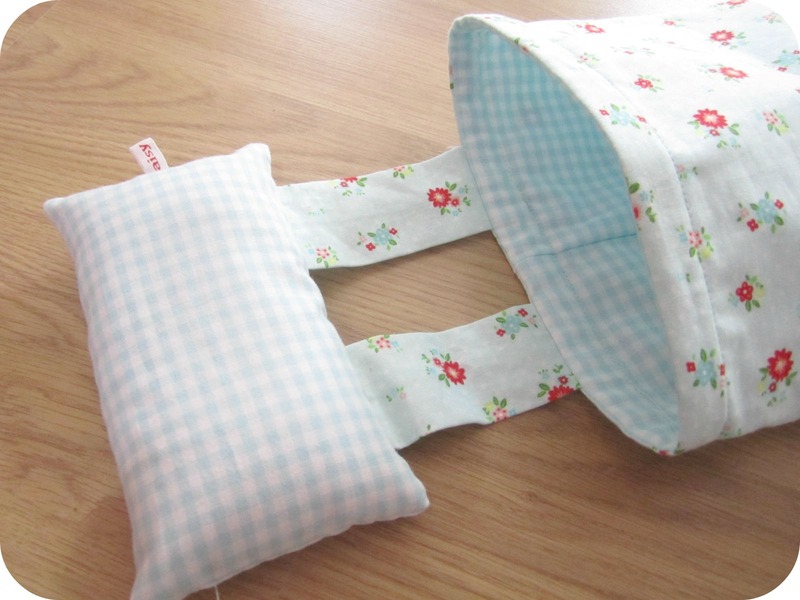 Right, now to start crafting again and the very first thing I'm going to make? A large sign saying 'No Smelly Boys Allowed'! Oh I love it Heather, such a lovely space. You have been working hard so enjoy it! How lovely to have your own little crafting area! 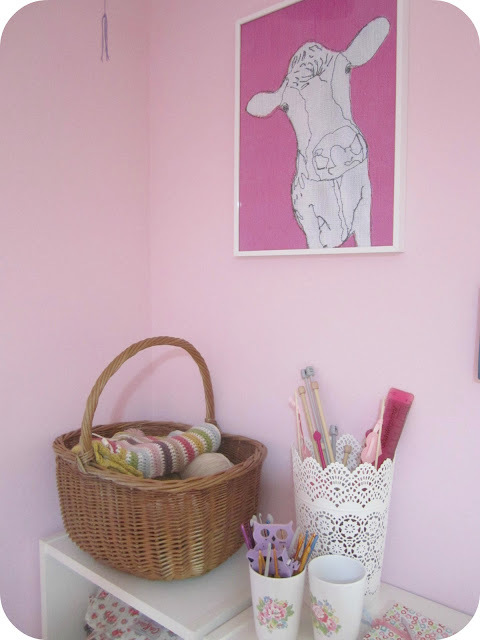 I love the pink and the wire baskets for your yarn. Where did you get those? I love that it keeps the yarn all together but you can still see it all - perfect. PS, Love that stripy blanket in the basket too. Enjoy a lovely crafty weekend in your very own new space! 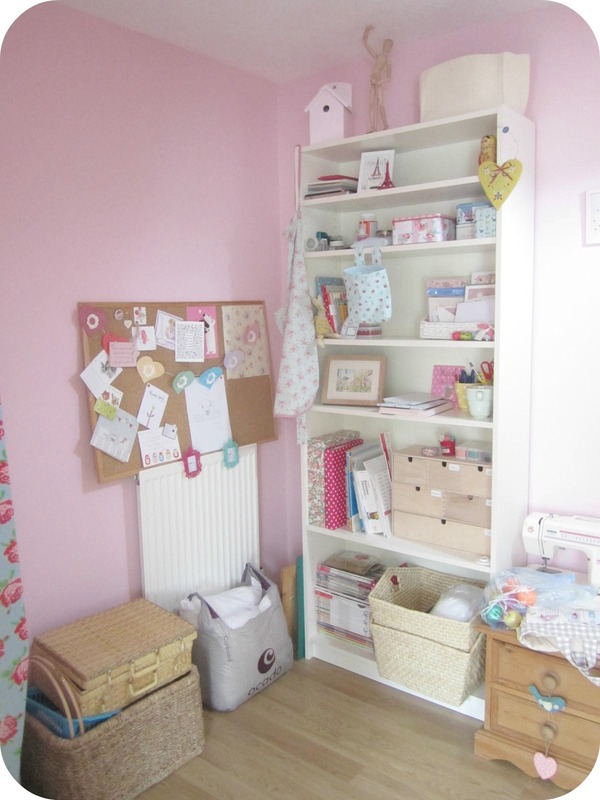 What a perfectly pretty pink room I can't wait to see your makes, but please tell me you won't keep it that tidy!! Hi There, Loooove your craft room!!!! I can never keep mine tidy, but I also don't mind when it's a mess, because that means I'm busy right?! but then once I start, I finish and then I tidy up again!!! That way I almost always change things around a little which also keeps my room "New" in a way!!! 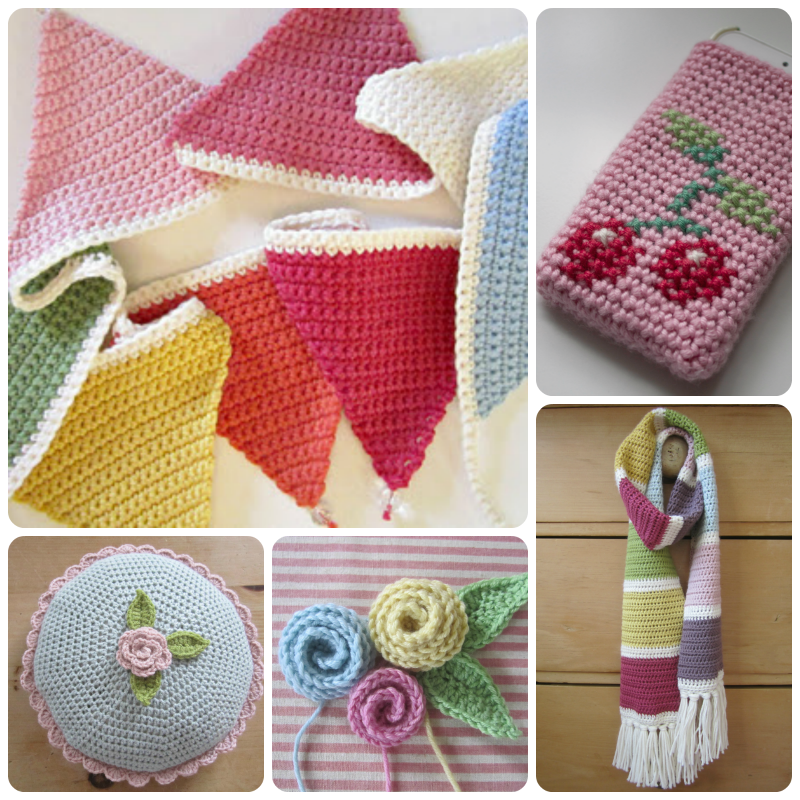 Have a wonderful crafty weekend!!! It looks lovely Heather!!! Love the blanket you seem to be making! 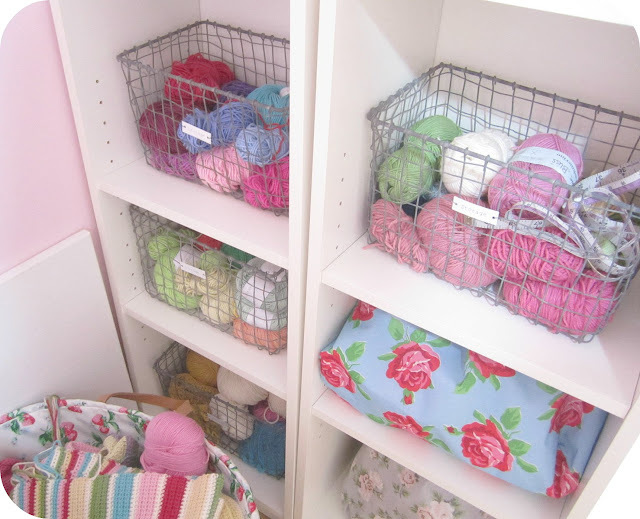 Wow, what a great space, I did laugh when you mentioned you yarn all over the house as that is how mine is despite the fact that I have a big drawer to store it in! Your new craft room is absolutely beautiful, Heather! 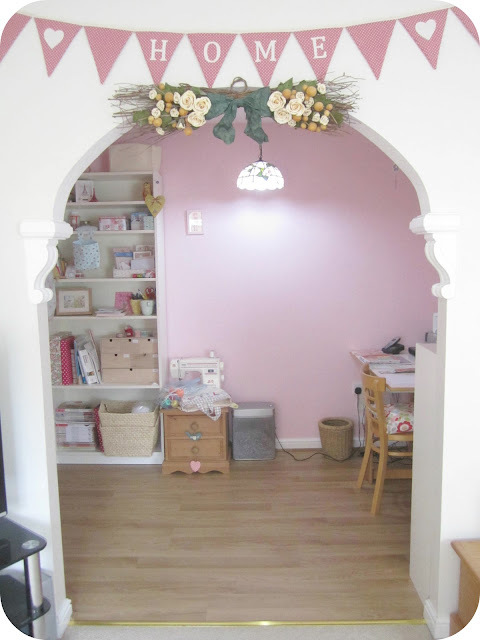 It is such a light and pretty space to create in! I love the colour and the storage. Wishing you a wonderful week ahead in your pretty new crafty room! OOhhh it's lovely Heather! Loving the pretty pink walls, and the ornate archway leading to it, its all so neat and tidy! Enjoy spending many happy creative hours in there! I love your craft room! 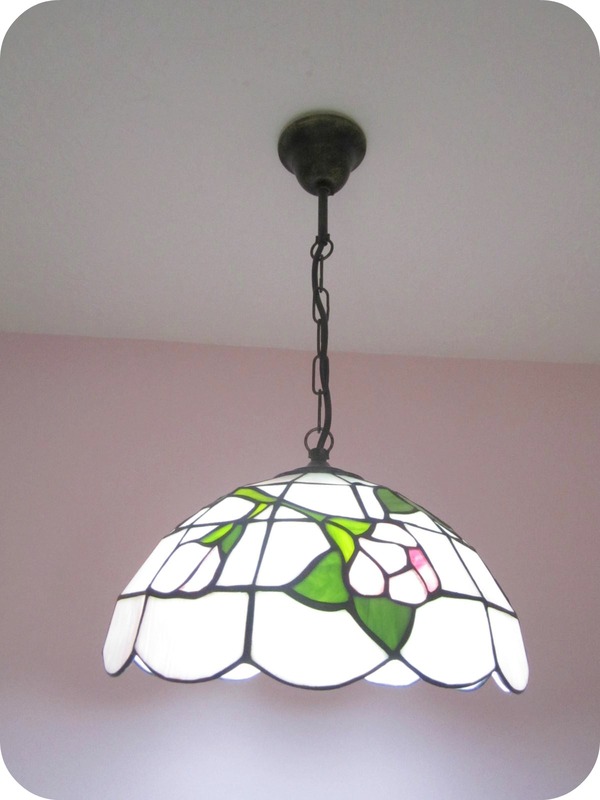 It is so pink and girly, lucky you! Love it! It's pinkly perfect :) Happy crafting! That is a beautiful room, I love the pink! Aaahhh it is so adorable.